With an educational approach to wellness, SWINA students learn how to bring out inner beauty naturally, in both themselves and their clients. SWINA offers training in a wide range of aesthetic (esthetic) careers, ranging from makeup application to laser treatments and facials. 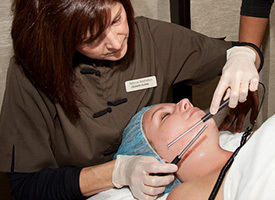 Students become proficient in more than 20 facial protocols including theory and practical skills. With just one certification, students can choose many different career paths. Southwest Institute of Natural Aesthetics’ mission is to help individuals discover their gifts and graces, and support them as they share their talents with the world in a loving and profitable way. Along with structured beauty and wellness curriculum, students learn the practical tools to become successful in the ever growing spa and wellness industry. Integrated into the elegantly appointed school along with academic classrooms, a student lounge and student library/media center is SWINA’s Student Day Spa. Here students are able to work with actual clients once they have successfully passed the necessary competencies and apply a wide range of their skills in a professional spa setting. Students are coached and supported throughout this applied hands-on training. While graduates will be thoroughly prepared to take both the written and practical licensing exams required by Arizona State Board of Cosmetology, SWINA’s focus is on teaching the real-world skills and current spa technologies used in high-end resorts and med-spas that will lead to a great job or to building a successful entrepreneurial practice. SWINA graduates ‘fully conscious’ Aestheticians, in tune with current market trends, technologies, and the energy of individual clients. Title IV Financial Aid may be available to those who qualify. We feature training in treatments not offered by most introductory programs including Microdermabrasion, Microcurrent Facials, Chemical Peels, Hot Stone Facials, and more. Learn the newest spa, anti-aging and beauty treatments including makeup and waxing. Plus, study holistic practices such as Reflexology, Lymphatic Drainage, and Aromatherapy. Learn to treat client’s skincare concerns and customize treatment plans using many product lines. Gain valuable hands-on experience in our Student Day Spa as you develop and master your personal and professional skills. 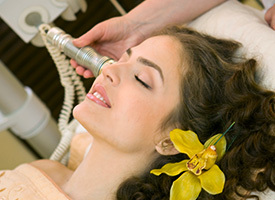 With Cosmetic Laser Technician training, you boost your aesthetician skills and get an edge in the professional world! This training is a valuable addition for current Licensed Aestheticians or active aesthetics students. Our graduates earn both Laser Technician and Certified Laser Safety Officer certification. Learn consultation, medical charting and essential hands-on training unlike any in the Valley in our Student Laser Clinic. Treat clients for hair, wrinkle, scar and age spot reduction and more as you fine-tune your skills! As an existing Licensed Aesthetician with at least 1 year of work experience, you can become a highly effective aesthetics instructor and join an aesthetics education team! Learn class preparation plus courses in lesson planning and clinic supervision. Included is our 100 hour Life Coaching Program which introduces the shared philosophies and objectives for student-centered education with multiple tools for addressing different learning styles. Graduates are qualified and ready to take the Arizona State Board of Cosmetology’s Instructor Exam. 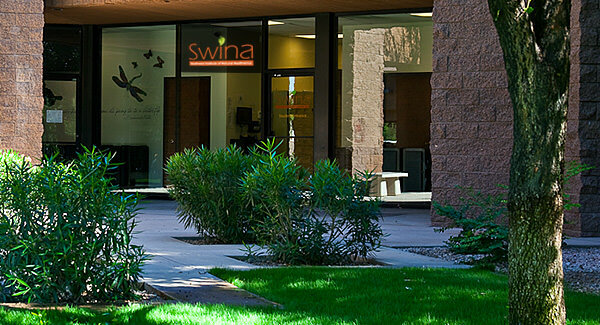 Nestled in a beautiful park-like business complex in Tempe, Arizona, Southwest Institute of Natural Aesthetics (SWINA) is the branch school of Southwest Institute of Healing Arts. SWINA offers a holistic, integrative and natural approach to beauty and wellness. With more choices than nearly any natural aesthetics program in the country, SWINA’s comprehensive education is available at a low tuition cost. Students can become a highly trained Aesthetician, with the option to become dually licensed as a Massage Therapist or Laser Technician.